Emerald City Comicon just keeps getting bigger and bigger with even more special events for comic book fans than ever before so I am going to be covering as much of it as I can right here on TwoOhSix.com! For the first time, Image EXPO is teaming up with ReedPOP for "Image EXPO 2016" in Partnership with Emerald City Comicon. 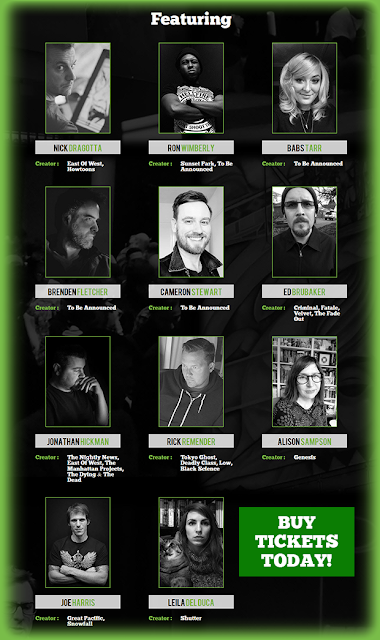 Held in Seattle, Washington, Image EXPO will bring Fans a new slate of exciting Creator announcements. IMAGE EXPO 2016 will feature a line–up of some of the hottest names in comics and offers a unique experience for fans to have unprecedented access to the writers and artists behind their favorite comic books at exclusive autograph sessions and comic–focused programming. 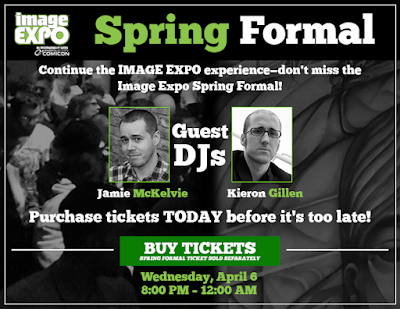 In addition, Premium Admission Ticket holders will enjoy an admission ticket to 18+ Image Comics' Spring Formal dance—a chance to mingle with creators, press, retailers, and fellow fans, Image T–shirt, Image tote bag, EXPO exclusive variants, Priority seating, and access to the Premium signing. In 1992, Image Comics changed the face of the comic book industry and now—more than twenty years later—Image Comics continues to inspire creativity and foster innovation. In 2013, that tradition continued with the launch of IMAGE EXPO, an all–day event for fans, the retailer community, and the press to experience a showcase of exciting Image Comics announcements. Thank you for checking out this ECCC artist and exhibitor preview post. Check out more convention coverage at the links below and stay tuned for exclusive convention coverage during the event via Twitter, Instagram, and the TwoOhSix.com newsletter which you can subscribe to at the bottom of this page or by clicking HERE.